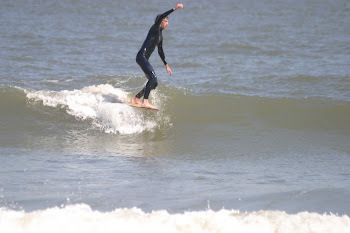 This is for Chris Crocker Surffest in October. 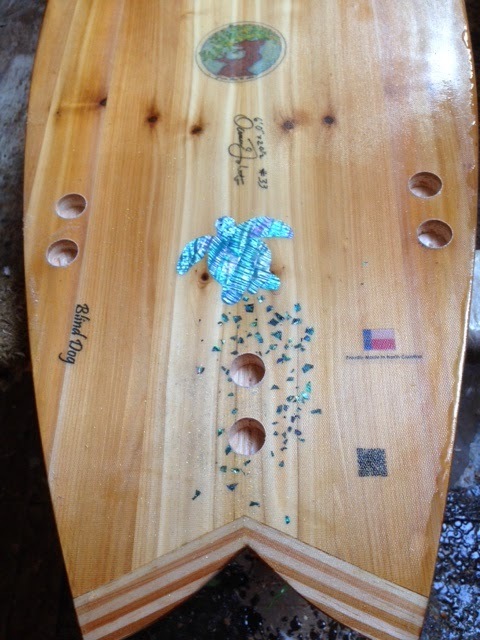 It will be raffled off to help support Chris Crocker's family. 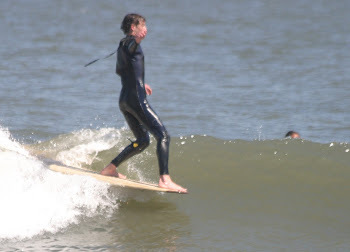 Chris suddenly died few years ago and every year since this surf-fest has been held in his honor. 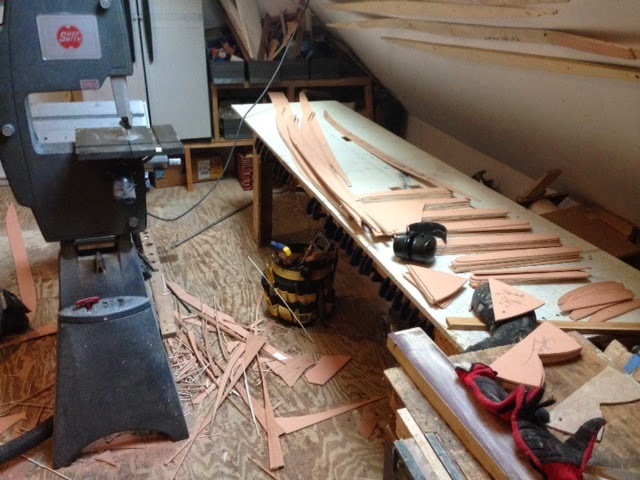 Chris was the kind of guy that if you called him at supper time and needed help, he and son Jake would come right over. 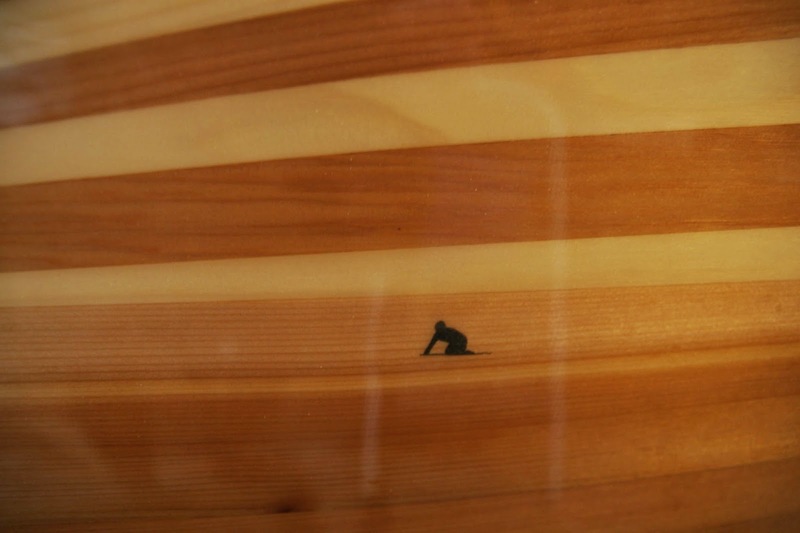 The kind of fellow that would give you the shirt off his back if you needed it. 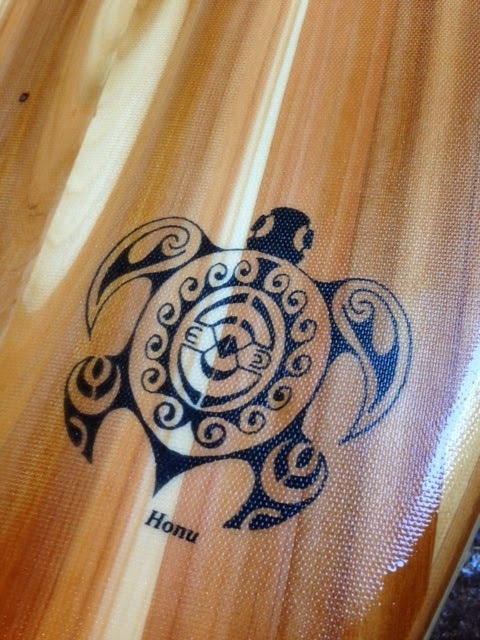 So in a small way we are helping by offering a HWS board. 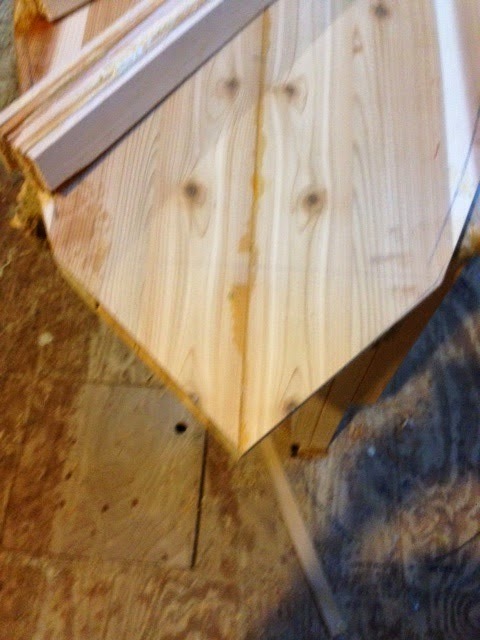 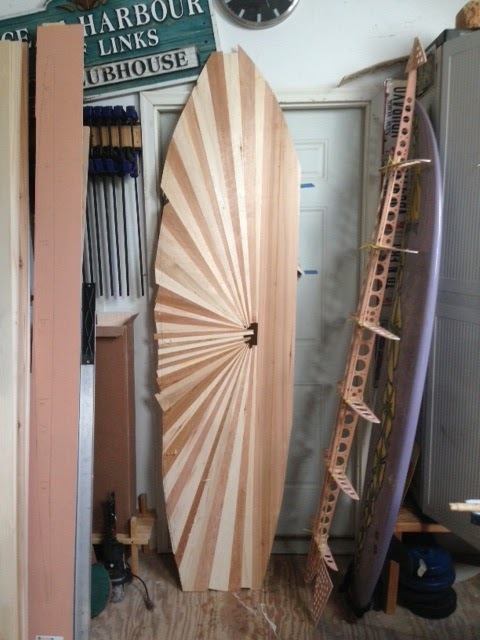 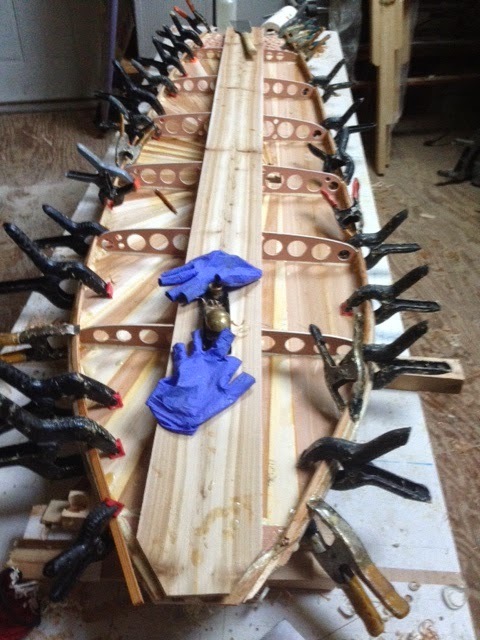 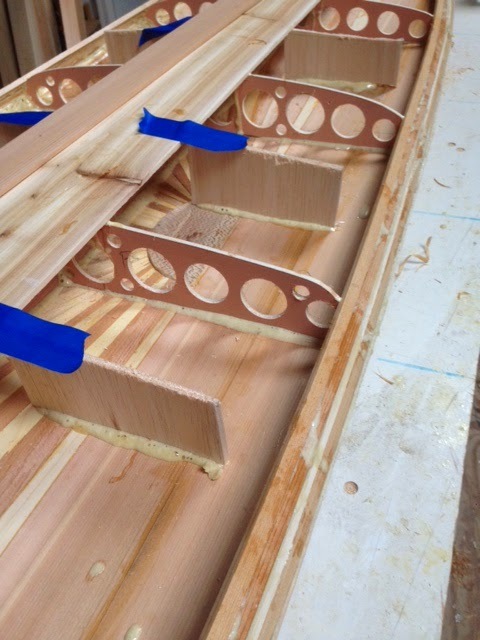 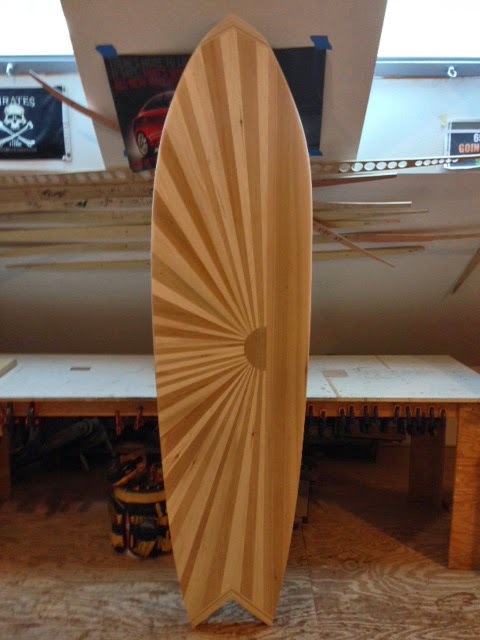 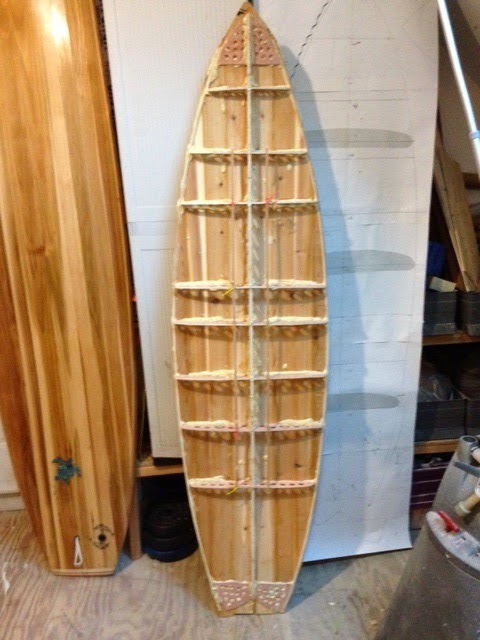 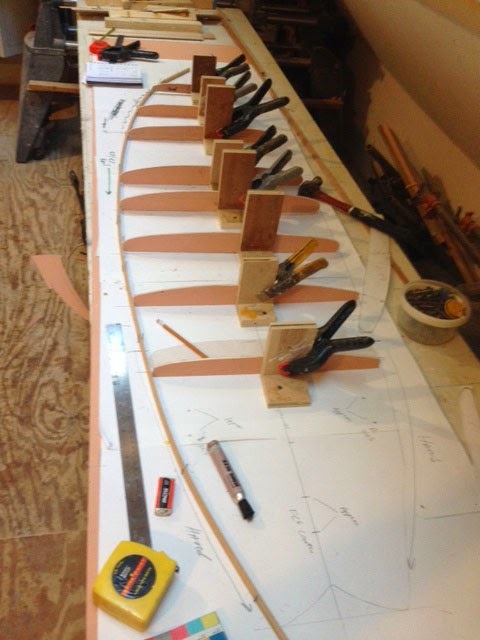 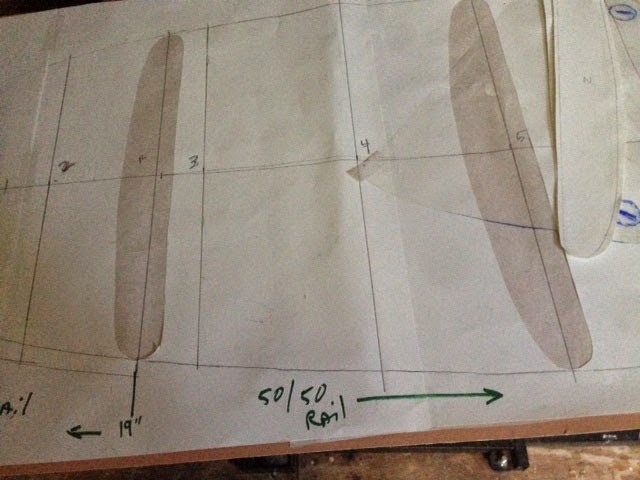 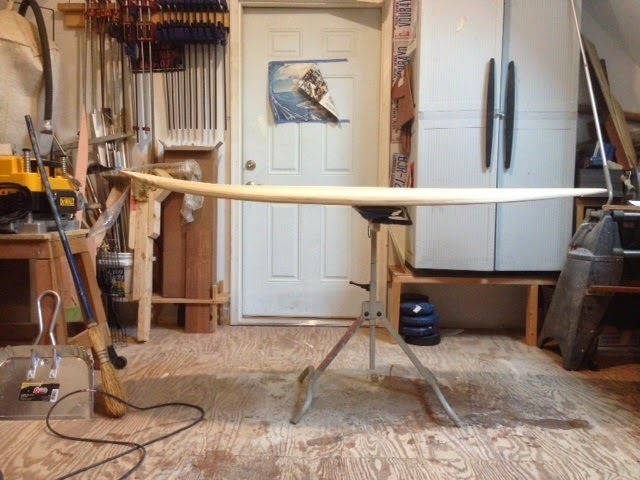 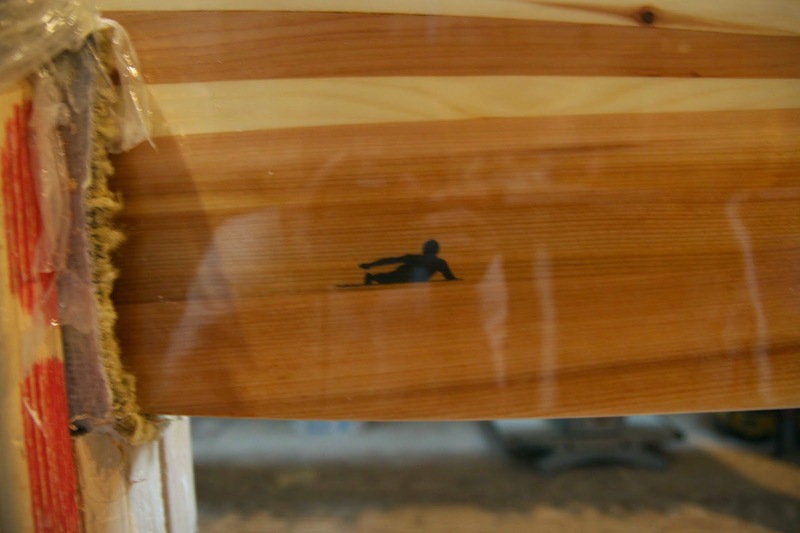 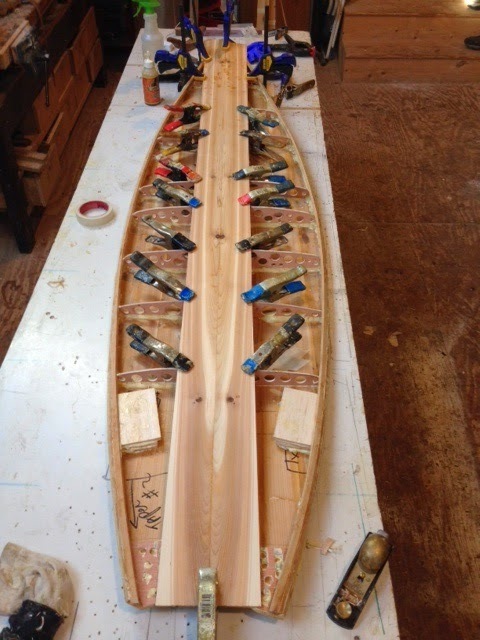 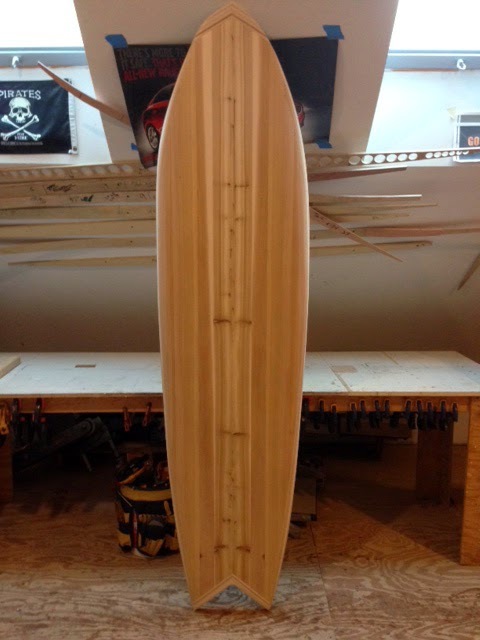 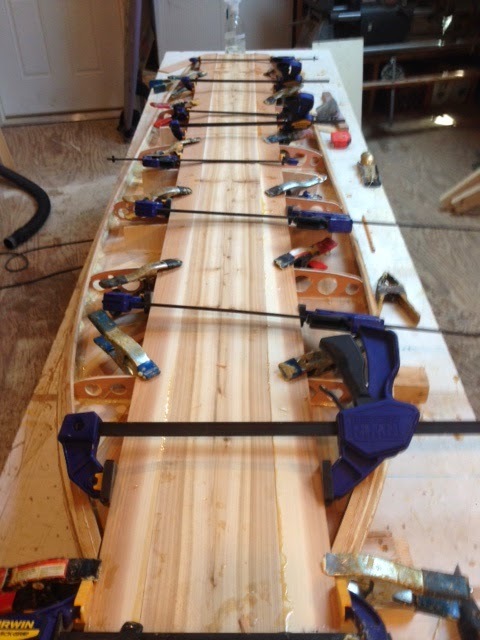 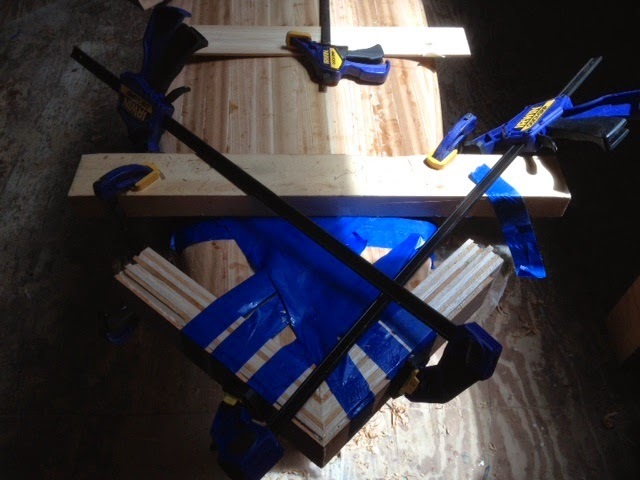 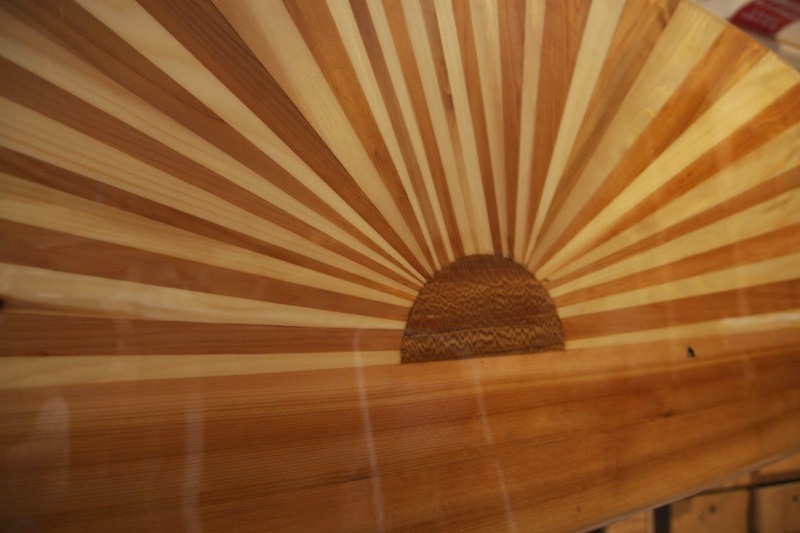 I'll post here as this board develops from 1"x4"x12' lumber into surf art. 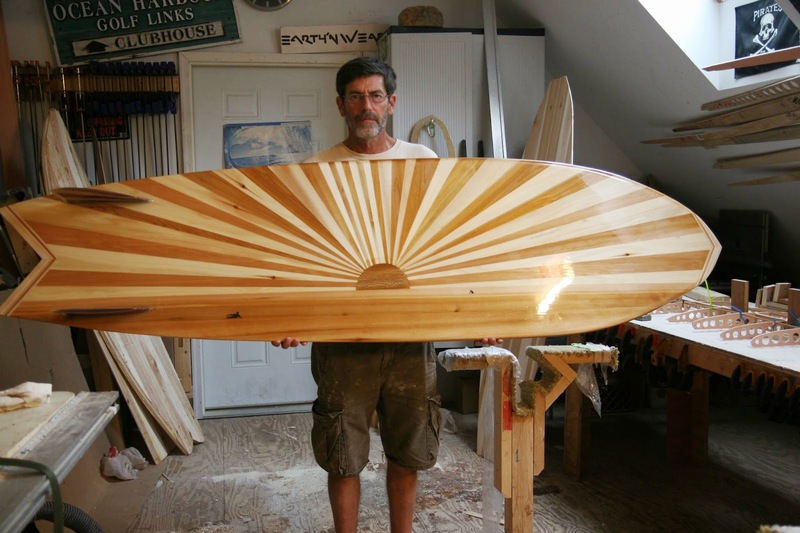 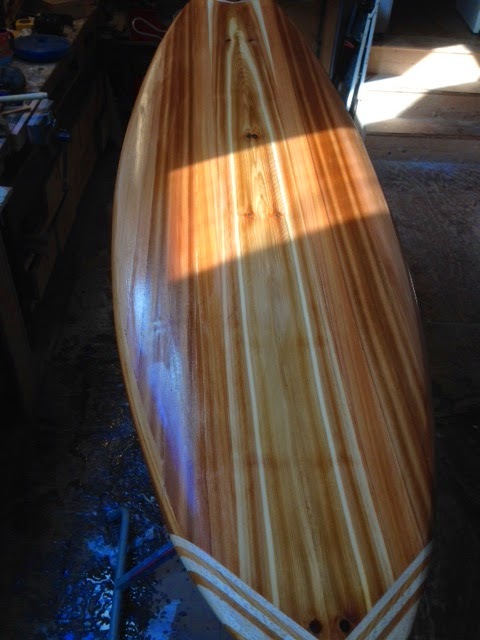 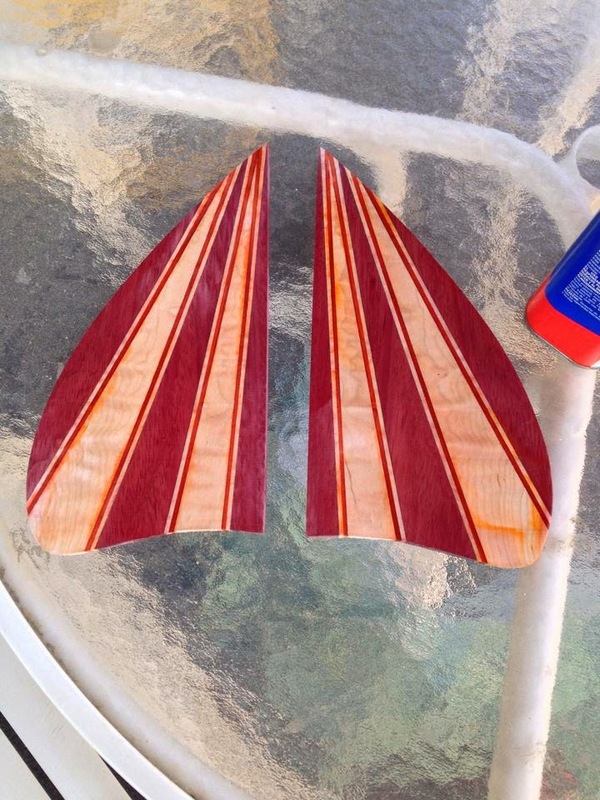 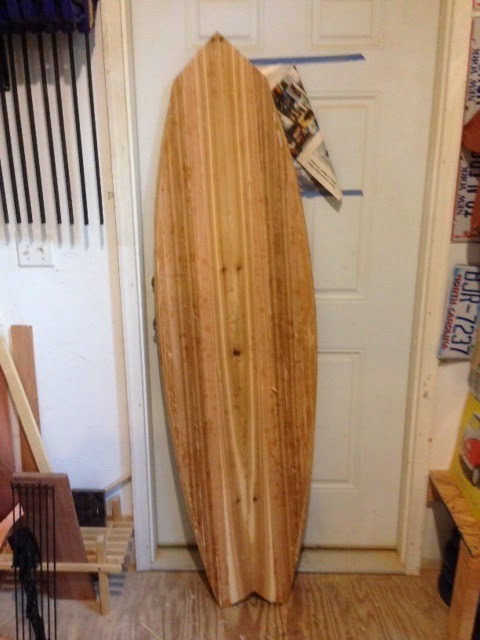 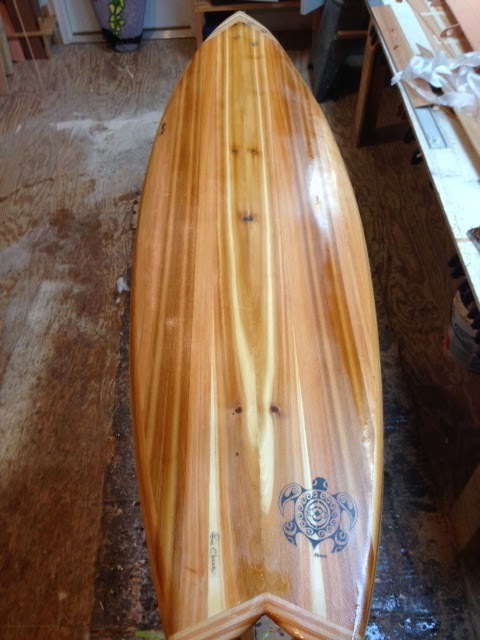 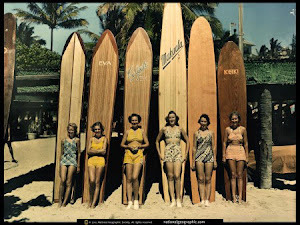 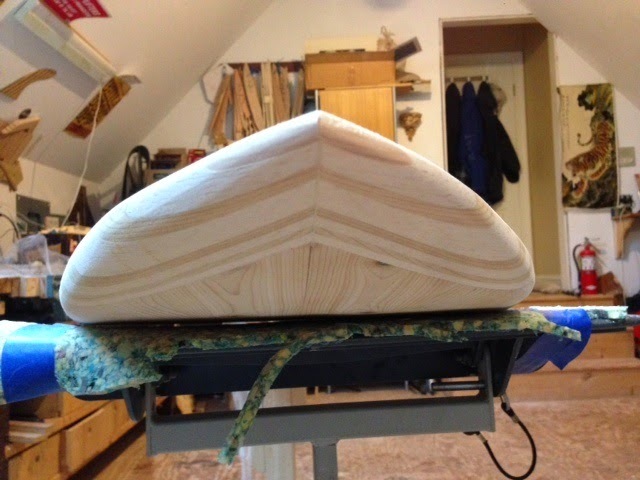 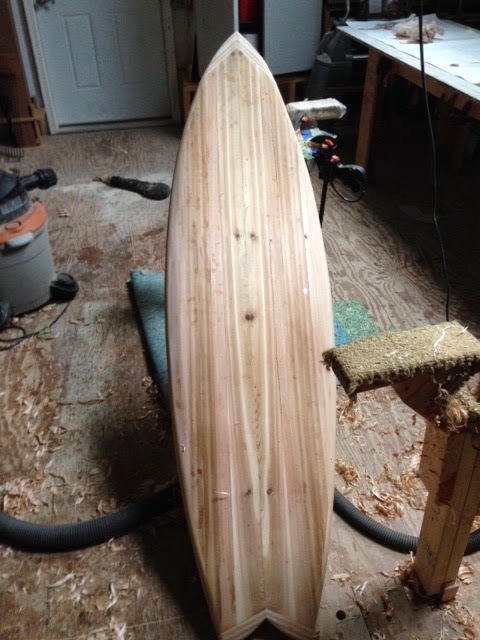 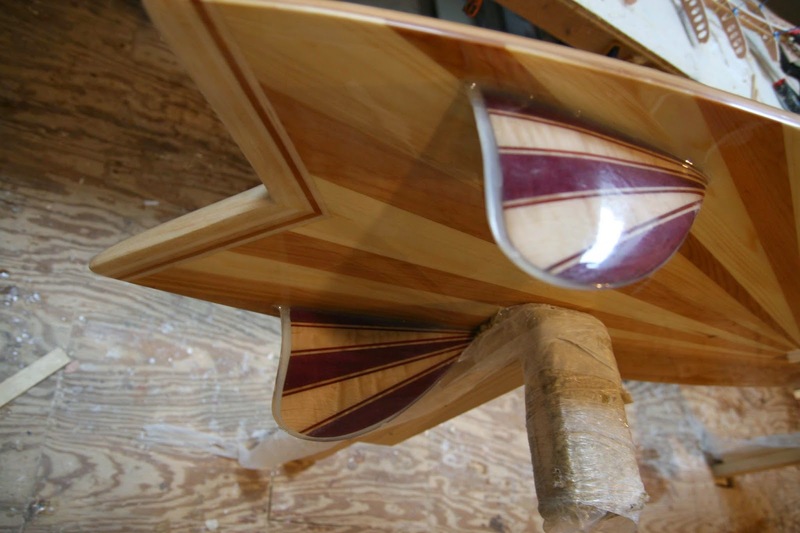 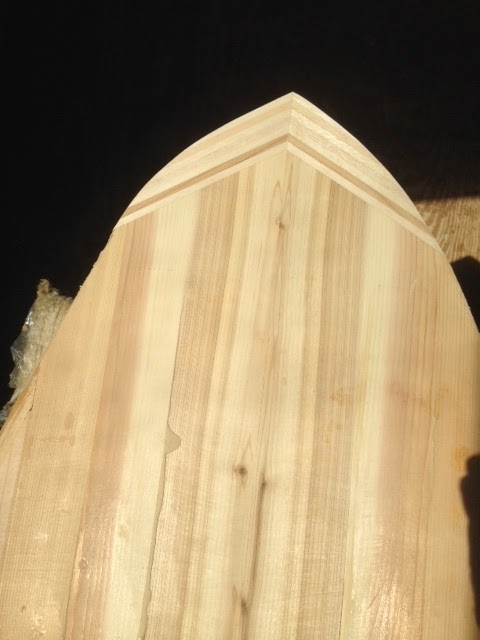 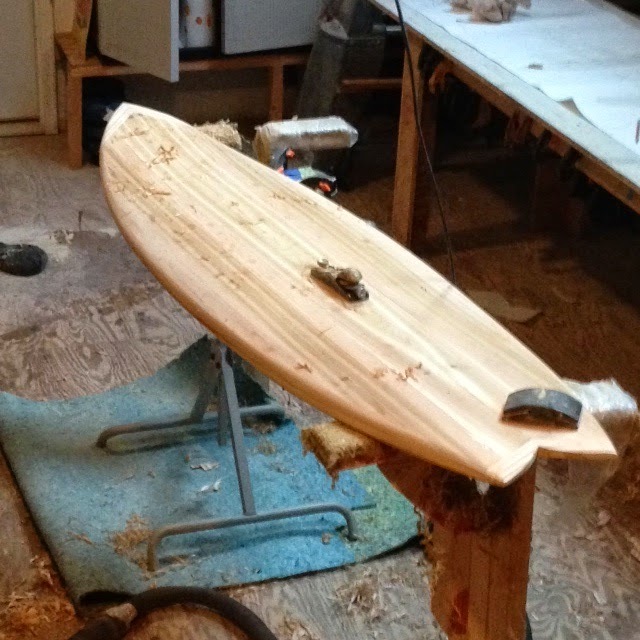 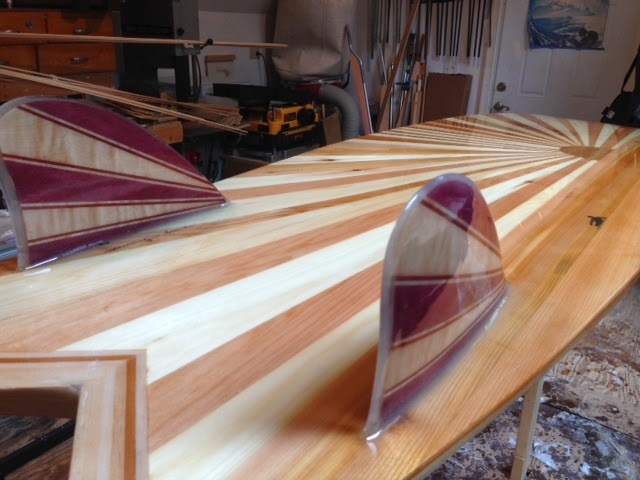 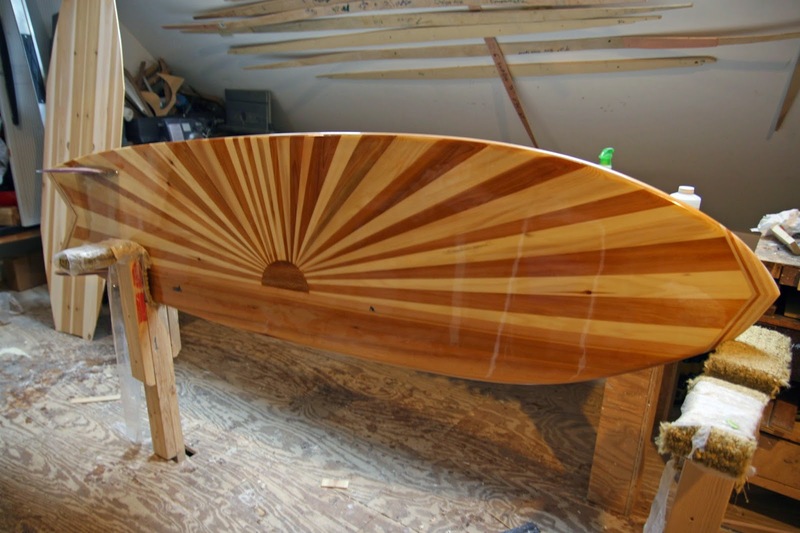 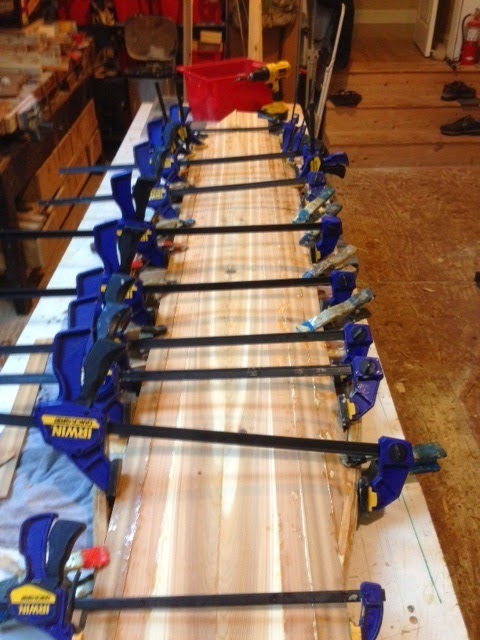 Make no mistake, this is a real surfable board, it just look pretty but under that Cedar planking is ever thing that make a HWS surfable. 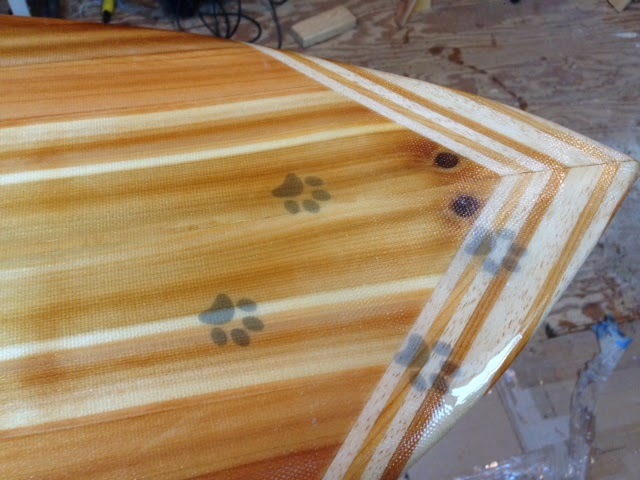 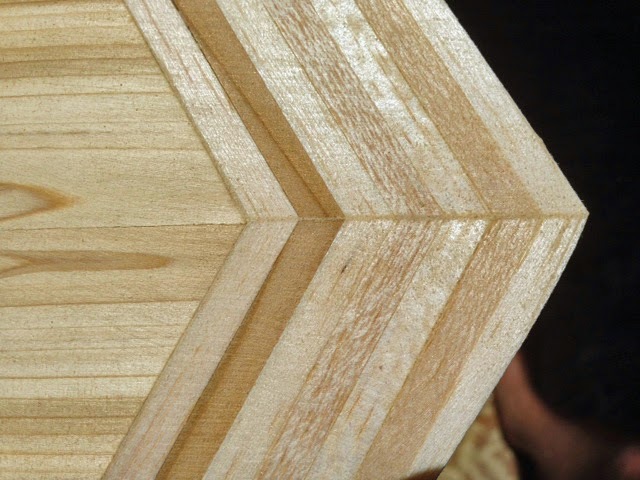 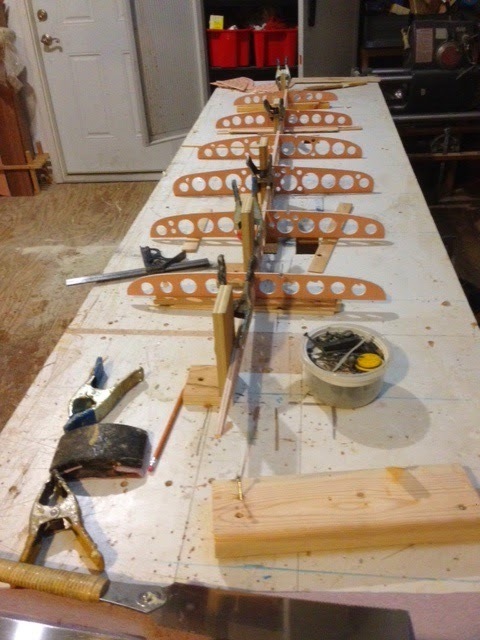 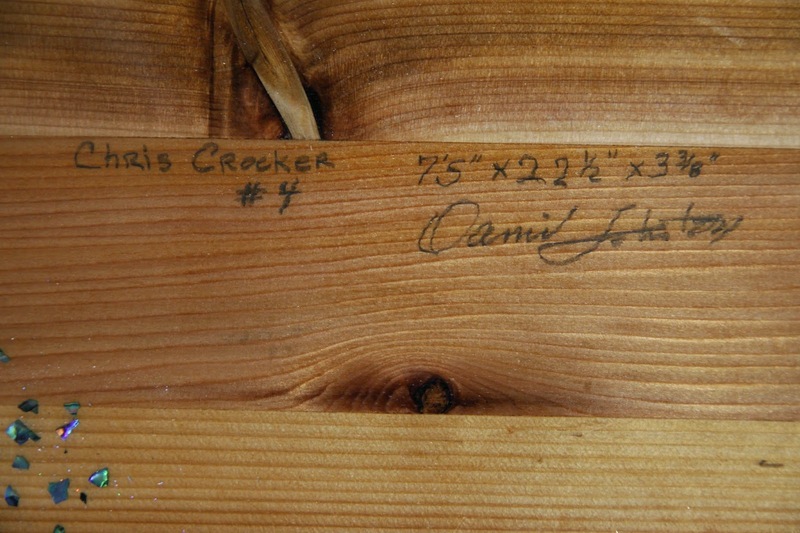 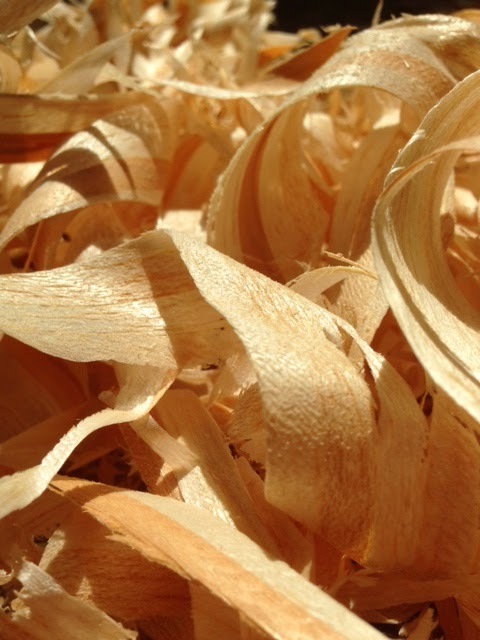 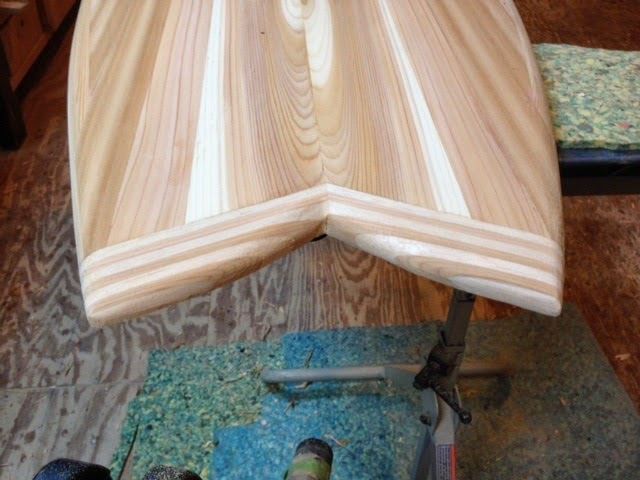 The streaks are reflections from table saw. 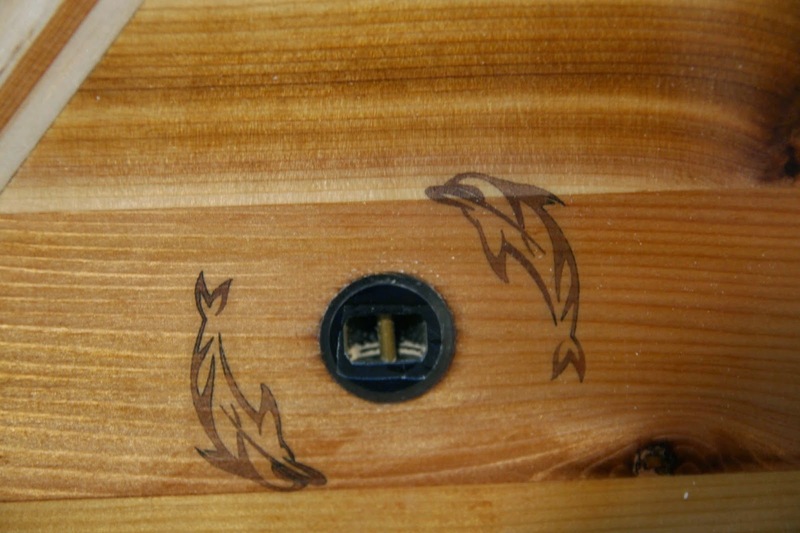 Add caption Gore-Tex leash vent. 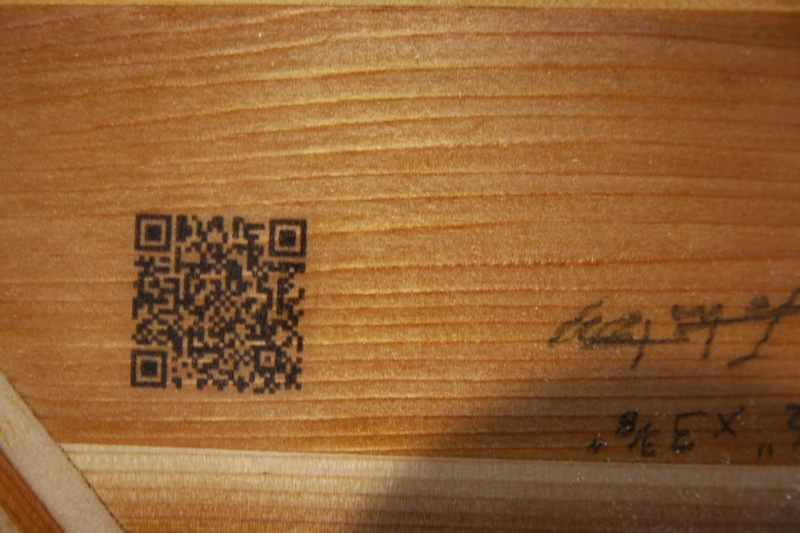 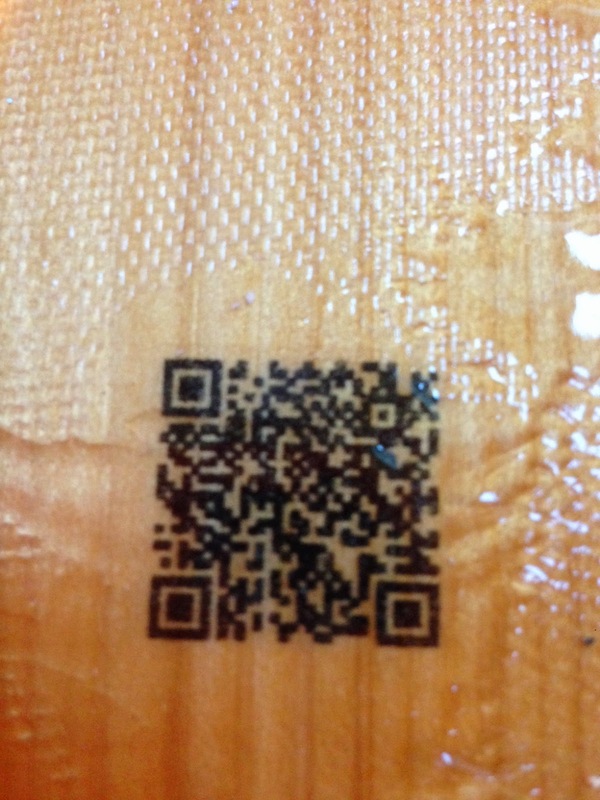 QR Code link to this web page. 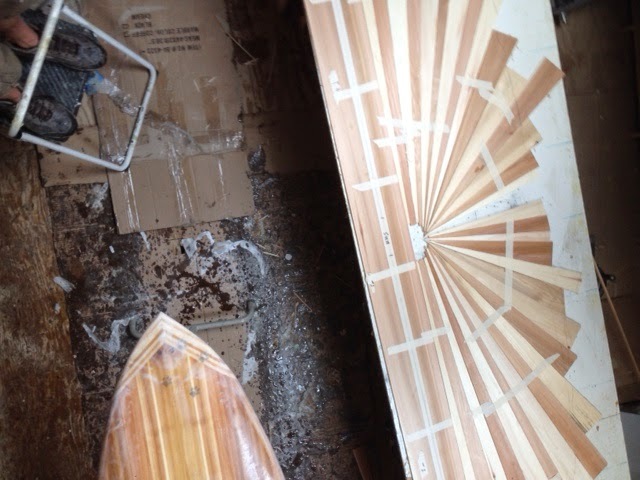 Cool. 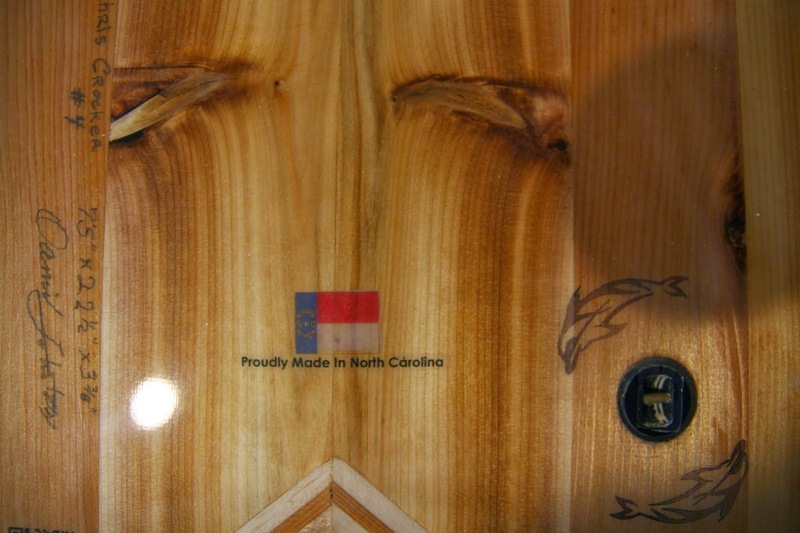 An industry first.